Willisch: "The team spirit that held us together and moved us forward is what makes me most proud of the years I spent as your CEO." Completing a leadership transition that began early this year, Ludwig Willisch will retire from BMW and leave his post heading the group's Americas region effective Aug. 1. The departure had been expected. Willisch said this spring that his pending retirement is what led to the appointment of Bernhard Kuhnt as CEO of BMW of North America as of March 1. 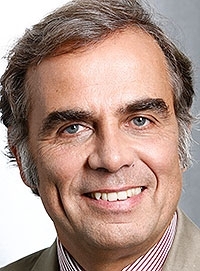 Kuhnt, 50, will now also take over Willisch's position as head of BMW Group Region Americas, overseeing sales subsidiaries in North, Central and South America. Willisch, 61, has worked for BMW for 21 years, leading the North America business since 2011. During his time here, BMW became the top-selling luxury brand in the U.S. for the first time in its history and held the title in 2011, 2012, 2014 and 2015. The brand's sales have slipped since reaching an all-time U.S. high in 2015. In April, Willisch signaled his retirement, saying that he would be 61 soon, a "fossil dinosaur" in BMW's world. The company's top executives typically retire around age 60, he said. In a statement, Willisch credited the brand's U.S. accomplishments during his tenure to his entire North America team. "The team spirit that held us together and moved us forward is what makes me most proud of the years I spent as your CEO," Willisch said. "Now, I am very pleased to say that I am leaving you in good hands, and I know you will give your great support to Bernhard and his team as we complete the transition." In the company's statement, BMW CEO Harald Krueger lauded Willisch for leading the Americas region to new levels of market growth and success. "During his time with us at BMW, Ludwig has been responsible for the sale of well over 5 million vehicles!" Krueger said. "Ludwig is quite a salesman; however, he has left a much greater legacy as a strong ambassador for the company and as a mentor to so many who have had the opportunity to work with him over the years." Willisch began in the industry selling Porsches while in college. He also sold Volkswagens and Audis and then joined BMW in 1996 heading the company-owned dealership in Dusseldorf, Germany. He went on to run several BMW sales subsidiaries. An avid amateur racer, Willisch led the M performance unit for two years. In late 2013, Willisch told Automotive News that sales numbers were what kept him up at night. That year, Mercedes-Benz took over the luxury sales lead from BMW. BMW regained the top spot in 2014 and 2015 but lost it in 2016 again to Mercedes, which remains in the top spot halfway through this year. BMW ended last year with U.S. sales down 9.5 percent to 313,174 vehicles. Sales are down another 2.8 percent through June, ranking BMW second among luxury brands. Some have criticized BMW for "punching" in this market, a practice in which the automaker gives dealers additional incentives to self-register vehicles as loaners. BMW's 2015 U.S. sales title was clouded by reports of punching. Even though BMW ranked No. 1 in reported sales among luxury brands, it finished No. 3 in vehicle registrations that year. BMW executives last year pledged to back off on the practice, and dealers report that it has moderated. As Willisch departs, U.S. dealers are seeking a better mix of cars and trucks, particularly higher supplies of popular crossovers and SUVs. BMW's crossover lineup has aged, but it is about to go through a resurgence starting with the introduction of the redesigned X3 late this year. BMW has been missing a large dedicated three-row SUV but that is coming when the long-awaited X7 goes on sale in early 2019. Tuesday's announcement comes less than a week after the retirement of Willisch's boss was announced. BMW said last week that global sales chief Ian Robertson, 59, would retire in 2018 and be succeeded Jan. 1 by automotive newcomer Pieter Nota, chief marketing officer at Dutch electronics and lighting company Philips.